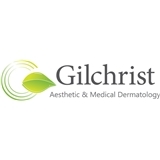 Gilchrist Aesthetic & Medical Dermatology (Encinitas) - Book Appointment Online! We specialize in providing holistic and individualized dermatologic care with an emphasis on prevention and building the health of your skin. Our patients are the reasons our practice exists. We enjoy our relationships with our patients, and we spend as much time as needed at each visit. Please visit our website to view our menu of services. In our facility, we believe that small changes ripple out into large results, both for your skin and for the environment. For that reason, we choose to keep our office as paper-free as possible. Please visit our website to learn about our other green efforts. Excellent. A real pro. We recommend her highly.